Each year the Marijuana Policy Project, or MPP, publishes a list of states that will receive planning, execution and fundraising assistance from the organization for the purpose of reforming marijuana laws. 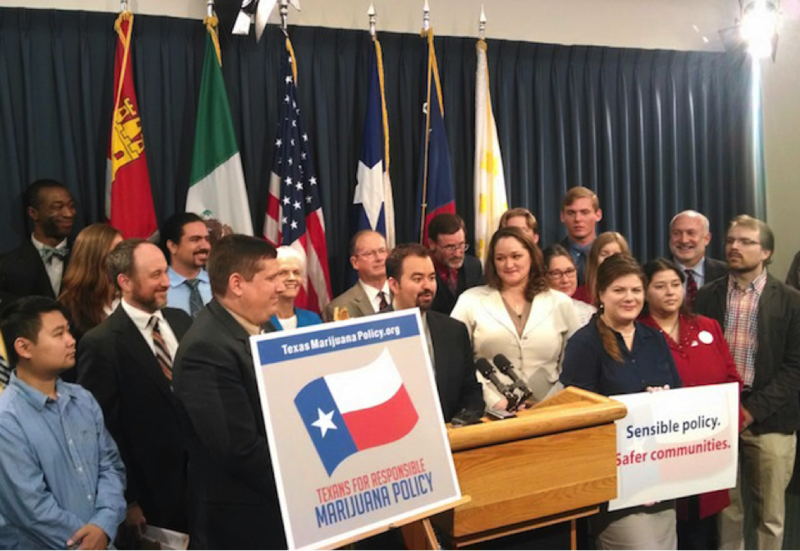 In 2014 MPP announced the long-term goal of working toward marijuana legalization in Texas by 2019. This year’s announcement, however, shows a ramped-up effort to push for both medical marijuana as well as decriminalization in the Lone Star State. On December 15, 2014, Rep. Joe Moody introduced HB 507, which would impose a $100 civil fine on the possession of a personal amount of marijuana in Texas. This bill would allow individuals to avoid arrest, possible jail time, and the stigma of a criminal conviction for possessing an ounce or less of marijuana. Law enforcement estimates that in 2012, there were over 70,000 cases in which people were either arrested or cited for marijuana possession in Texas — wasting valuable law enforcement time and placing futures at risk. According to MPP HB 507 is a direct result of their multi-year effort in Texas and is but one piece of the ultimate goal, which is to establish “a compassionate medical marijuana program and legalizing and controlling the marijuana market for adults 21 and older, similarly to alcohol”. There are several ways you can get involved in this historic campaign.